In this interview, Trovato discusses his journey to becoming a master craftsman, how his playing – and guitar playing in general – has changed over the years, and explores his search for, and definition of, tone. The word virtuoso is used quite liberally at times in the music industry. Some musicians live up to the label, but few personify it the way Steve Trovato does. A master of jazz, rock, country and blues, Trovato is highly respected by his peers as an award-winning songwriter, musician, performer, author and educator. Among his many credits: 40 instructional books, 30 DVDs, contributing columnist for various guitar publications, and educator at the University of Southern California’s Studio Jazz Department. Piano was your first instrument and you studied for six years. 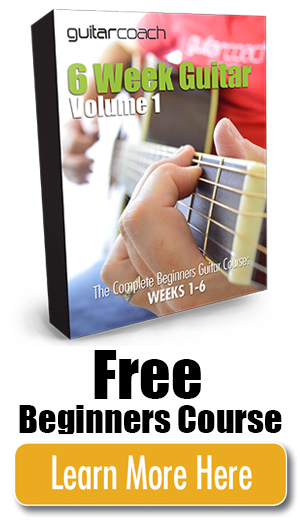 Did it provide a basis for learning to play guitar, if only to teach you discipline? No, it didn’t, and it should have. I played scales, but they are very visual on a piano. The other aspect of the guitar that’s different from the piano is that there is a middle C on the piano and five of them on the guitar. It’s harder to visualize it and learn. On piano, it was strictly classical: Debussy, Schumann, student-oriented, and I was just recreating someone else’s talent. When I got to the guitar, I was beginning to learn to play, and so many people played so differently. It was so individual, according to their personalities and what they wanted to play. You can inject your own personality and sound different no matter who picks it up. You’ve spoken before about seeing the Beatles on the Ed Sullivan Show when you were 12, and the impact they had on you. Are they still your reference point? To this day, it seems they’re everyone’s reference point. I have everything the Beatles ever recorded. I bought the Hal Leonard complete scores, the remastered catalogue, and when I want to learn something new, I go back to that. The songs caught me. They were another instance of “no human could write that.” “Penny Lane” came from the greater something or other and was coming through the Beatles. The chemistry they had created a lot of it. I get chills just thinking of those songs. In beginning guitar classes at USC, the three artists that they want to learn are the Beatles — everyone learns “Let It Be,” Led Zeppelin and Jimi Hendrix. I was listening to the Beatles the other day, and every one of those songs — you can’t imagine another part. Every one is the perfect part and the vocals are unbelievable. Your main influences were Nokie Edwards and Chet Atkins. When you were learning to play and listening to them, there were no books, there was no tab, there were only records. Was that better or worse? It was definitely better, without a doubt. With my innate love for the instrument, I had the attitude that nobody could play something I couldn’t play. I would turn the record down to a slower speed and keep moving the needle, then I got a tape recorder and I would record from the speaker and play at half speed and keep rewinding it. It forced me to listen to it 150 or 200 times to get every nuance, and there was such concentration and detail. There’s no patience or attention span to do that in this day and age. Steve Morse and Carl Verheyen did the same thing. Anybody that good had to do that. The only way to get that good is in the detail of the original players. What do the musicians who attend your clinics want to know? In addition to recording, teaching and performing, you’ve done session work, television and motion picture scores. What is the key to getting callbacks? There are two facets. One is the ability to get along with people, not be grating, irritating and abrasive, and not have preconceived notions. This is very, very important. Second is making sure that all the details are organized. Be there on time, make sure your equipment works, get everything set up and ready to go on time, have a great time on time, and dial in whatever tones somebody wants in a second. Third, don’t play what you think they should have on their record. It’s like bagging groceries at Ralph’s. If they want their milk on top of the eggs, so be it. If they want an acoustic part that doesn’t work, so be it. And fourth, give them a dime for their nickel; give them more than they asked for. Double a part, offer some ideas, be excited about their tune. It’s not a big secret. It has nothing to do with playing great guitar. That has a little bit to do with it, but I don’t think people call studio musicians to play great guitar. They call you to play what’s called for in their music. How have guitarists changed over the years? In the 1990s, Nirvana put a brick wall up against the metal shred guys and brought music to a simpler, acoustic song writing level. Now, the singer-songwriters all sound the same and people don’t learn about various styles. Most contemporary bands have a little bit of funk, rock and reggae, but they focus on the storyline and the guitarist is incidental. There are some contemporary virtuoso guitar players who are unique; Joe Bonamassa has carried the tradition. A few have followed in the footsteps of those before, are individual and have a sound. John Mayer is good, Jonny Lang, Brad Paisley is great. Once you get out of the metropolitan areas, country music is huge. Even L.A., the urban rap capital of the world, has a mainstream country station. Those players are amazing. The guys who play on the Rascal Flatts albums, Keith Urban — he records his own guitars — and Brent Mason is the obvious king. This is a great question that nobody has ever asked me: how I have changed my approach! I would say I backed everything up one step. Instead of the scales and arpeggios being the music, now I am the music and the music is in me now. The guitar has become a noisemaker. My music could come out of whatever I wanted and the guitar is a way to move my fingers to make the sounds I hear in my head. The music comes from me rather than from the scales and arpeggios. I got there in 2002 when I did the first CD and I thought, Will I be good enough? Will I do what people want? Let me record this and that. I realized that there comes a time when you say, “This isn’t going to be Sgt. Pepper. It’s going to be the way Steve played on this day, at this hour, in this year.” It’s a work in progress and the next one will be different. I am not the final judge of what I do. I let it go as an artist. My job is to put it out there. I’m doing it because it’s what I want to do and people will like it or not. You separate the men from the boys, and a lot of artists never get there. You put your heart out on the floor for people to either love it or step on it, and eventually you’ve got to take that chance. So many artists are working on their first album, and it is people getting ready to start to commence to begin. It will never be right or ready. I’ve been working on it for 30 years. Your playing encompasses blues, country and jazz. How are the styles similar and different, and where do they meet in your playing? Blues is the thread that is shot through every style. From Wes Montgomery to Albert Lee to Robben Ford, I hear blues. I always hear it in the great jazz players. It’s the connecting genre of all styles. After that, it becomes a tone/feel/attack issue. It’s tone and attitude. What is your definition of tone? Well, what is tone? People say I’ve got great tone. What does that mean? It’s the sound coming out of the amp. It’s so subjective. It’s whatever you hear. “Oh, this new pedal is the Holy Grail of tone.” The Holy Grail of tone you want to hear. Every great guitar player has a Holy Grail of tone for their style. When you find it, it’s important to stay with it. Any guitar player whose name you recognize, you recognize their sounds. Albert Lee — the big, boomy, twangy tone — I can tell in ten notes that it’s him. So when you find tone that represents what you hear in your head, stay with it. I change things here and there, but I have a basic idea of what I want. It’s having the least amount of resistance between the guitar and speaker, the clearest representation of what the musician is creating and what the audience is hearing. The difference between good and great tone isn’t effects, treble and bass. It’s 3 percent better than good. It’s an intangible sense that you don’t know why, but it’s very appealing on an ethereal level and causes a reaction in the person. You hear a tone, it moves you — that’s great tone. I think it comes from the player. How long did it take you to find the right guitar? I think the guitar found me. I heard this and that and what they sounded like, and suddenly I played a Tele. It found its way into my hands and it was the sound I was hearing in my head. I didn’t know what I was looking for, or more specifically, which guitar. I had something in my head, a sound, a certain warmth and twang that was not so harsh that it took my head off. A certain sustain. And it’s funny how you know the second you play one. This unmorphed sound was formed when I heard it. I have a bunch of Teles and Strats now; it makes it easier to play. Primarily, I have a Fender Vibro-King with three Celestion Gold 10-inch speakers to replace the old original speakers, and Mercury Magnetics to replace the transformers and increase the weight by 20 pounds. It’s an amazing sound. The Vibro-King gives me that twangy blues sound. I also have a 1×12 cab with a Celestion and it sounds great. It adds bottom end to the 10-inch speakers and works at several different volumes. I have a Dumble Overdrive Special from 1982 or 1983, but I don’t take it out anymore. I use Solid Cables — to me, that’s the difference between the 3 percent better tone as far as clarity. I keep my pedals simple with very few effects. My pedalboard has a Keely compressor, a Suhr Koko boost, a modified Boss Super Overdrive pedal and an Alan Cyr distortion pedal. It does everything I want a distortion pedal to do. What do you want a distortion pedal to do? Two things. One, get a bit of crunchy sound when I strum, but still hear the definition of each note individually, not one big distortion sound. Daniel Lanois — that’s the sound I’m looking for. His sound is amazing. It’s a beautiful guitar sound. Two, that same pedal can take it over the top. I use mostly single coils and I need a distortion pedal to push the single coils to get a supersaturated distortion. I need a lot of overdrive, and this pedal does that. I have two delays: a Line 6 Echo Park and a T.C. Electronics Nova Delay. The specific reason is that the Echo Park has all the typical delay settings, but when I dial it in slightly, it sounds like reverb and adds rich ambience and a larger sound. I leave it on all the time. The T.C. has nine presets, and I use several different delay settings for rockabilly and doubling and sounds I can use at different times. I can step through the presets and not turn the knobs between every song. I also don’t want to carry a pedalboard that’s 4 feet across with thirty effects and twenty-five of them I’ll never use. I use .10 to .46 standard gauge D’Addario strings. My pick is a Dunlop Stubby 3.0. It’s pretty thick. Carl [Verheyen] calls it my tile, because that’s what it sounds like when I drop it! I tried a lot of picks, and when I’m recording, I get pick sounds. With this pick, I hear the strings only. Robben turns a Fender pick on its side so it has no point. I wanted that sound and this pick gives me that sound. Unless I’m playing fast country guitar, I play all the time without a pick. First of all, playing with my fingers and thumbs gives me richer harmonics and forces me not to play too many notes and to use each note to its advantage. I also play fingerstyle, and my main technique is hybrid picking, which incorporates both. You work a lot with Carl Verheyen. Let’s talk about the importance of guitarists working with other guitarists and how that pushes you creatively. Carl is a “what you see is what you get,” genuinely a sweetheart of a guy. In 1994, we both did a sampler with guitar players for Thomastik Strings. They wanted different styles from their endorsers. We knew of each other and we saw each other in the studio. Eddie Kramer was the engineer, which was a thrill right there, and he told Carl to do some country. Carl said, “Steve’s here. I’m not going near country!” We got to know each other, and in 2005, he called me out of the blue to do a gig. These were legendary guitarists and I’d had surgery on my rotator cuff and I couldn’t play. Nine months later he was doing a solo gig and wanted to do a duo. We played and it was as if we had played together our whole lives. We play the same, we’re on the same level, we have the same interest in music and we became fast friends. It’s great chemistry when we play that comes from mutual respect. When we rehearse, we spent a lot of time telling stories and trading licks. He’s so good. We push each other and it’s a friendly competition, not who’s better — what’s that mean? — but that we want to play as well as we can for each other. It’s so unique that two guitar players can do that. So many try to outdo each other. Carl and I have chemistry and respect and we both get along really well. He’s one of the best guitarists I’ve ever heard. 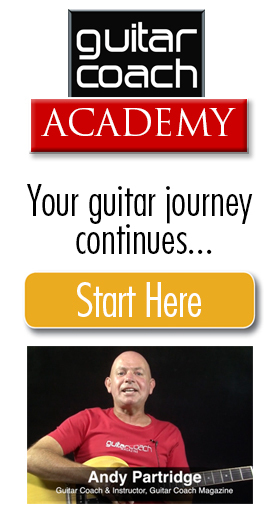 What is the difference between playing guitar and being a guitarist? Another great question. The person behind it is the difference. There are two ways to approach it, and that’s why I say to my students, “Do you want to play guitar or learn how to play guitar?” In other words, be a guitarist. Ninety percent of them want to play guitar. The difference in my mind is that a lot of students want to learn “Hotel California,” and they say, “Just show me where to put my hands and when to move my fingers.” That’s playing guitar. Guitarists question a chord and ask, “What is that? What are the notes? Why is it an F-sharp seventh?” You get into the theory of the music and how it relates to fretboard harmony, and why you’re doing what you’re doing. That’s my take on that. It’s wanting to learn how. Guitar Finger Dexterity. Hands -On Guitar Tips. Guitar Frets. What difference does shape and size make? Andy Carr on Guitar Finger Dexterity. 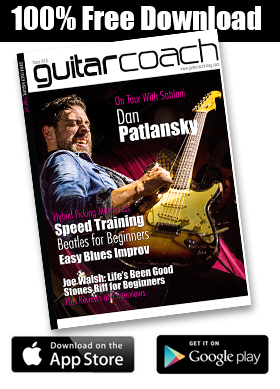 Hands -On Guitar Tips.